With an economy in turmoil, Renttoday.us has adapted its approach to tenant screening. According to Melle, the company adopted a “5 star point system”, and uses “compensating factors” to qualify our tenants who may have less than perfect credit ratings. For example, a tenant gets credit for having a FICO score over 600, but if it’s less than that, they get no points. Therefore, they would have to excel in either the income, reserves, employment history, or rental history categories in order to qualify. This system allows tenants who have very low scores to still qualify providing they have other redeeming qualities. Melle finds that competing management companies which rely on a FICO threshold alone, typically 600+, are disqualifying otherwise suitable applicants. “I would estimate that at least half of all our tenants had recently lost their homes to foreclosure and have a FICO score of 500 or less. That’s just the nature of the current economy and the area we live in,” Melle says. She adds that the Renttoday’s default and eviction rates are less than 1% at any given time. On the other side of the country, Kat Hopkins with The Rental Factor in Central Florida shares a similar experience. 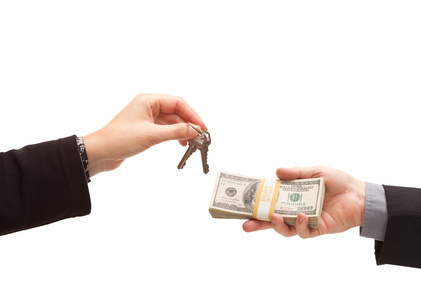 “Here at the The Rental Factor we do encounter on a daily basis prospective tenants with poor credit – in Central Florida it is hard to find anyone with really good credit!” she explains. The Rental Factor uses a national tenant background check company which enables managers to see both rental history and work history. Hopkins is willing to give applicants with a solid work history the benefit of the doubt. “They’ve probably just been affected by the economic crisis that affects us all,” she says. If they have a good, solid work history and a clean rental history, she will speak to them and ask what has happened to affect their credit in a negative manner. She finds most people will gladly explain how they have reached this point – sometimes it has been a health issue in the family that takes a while to financially recover from. “Of course in the end it is always up to you as an owner whether or not to accept someone as a tenant,” she says. Tilmon Brown with JTB Group is a property manager in Mobile, Alabama. There, widespread unemployment has been a game-changer for landlords and property managers. “One minute a tenant has a great job with good disposable income and great credit, the next minute they have lost their job and cannot pay their rent or meet their obligations. 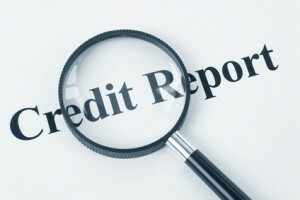 It has absolutely nothing to do with how good the credit report was when they signed the lease,” he says. In the city of Maplewood, Missouri, Adam Kruse with The Hermann London Group is willing to take people with lower credit, or with tarnished credit problems. “We will ask for a higher security deposit, potentially a higher rent, and maybe some prepaid rents,” he says. Greg Morad, a Realtor and Property Expert with GEM1properties.com in Northville, Michigan, which rents properties in fashionable Royal Oak, says the bar is lower than it used to be. “In this market of less than perfect credit, as a landlord and realtor, if a potential tenant has a short sale or foreclosure on their record, we can generally overlook that. Also outstanding medical payments are usually okay. Red flags which are unacceptable are delinquent utility payments or judgments against them for unpaid rent or car repos,” he says. 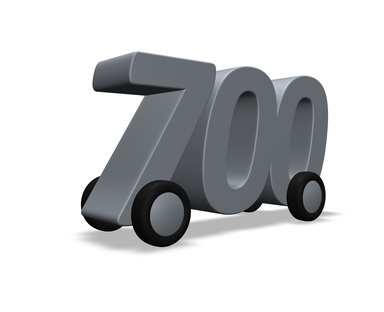 Overall in this market, Morad finds the new bar for credit is 600+, where in the past it was 720+. He suggests that obtaining 2 most recent pay stubs, a previous landlord letter and a credit report of 600+ should be your top 3 requests as a landlord. Chicago Celebrity Jazzman and Rock Star Anand Bhatt put some of his millions to work in rental properties. He’s had to put his creative energies to use as well, dealing with tenants who have less-than-perfect credit. “I was just talking about this,” he explains. “I just had an applicant refuse to provide a credit report. When I forced the issue, it turned out he had poor credit and no real assets.” Anand, like many landlords, had to weigh the risks between vacancy vs. future eviction probability and all the hassles that go along with that. He came up with a plan of asking for a few months of rent up front, and accepted the tenant despite the poor credit. But irrespective of being a large or small landlord, Feldman finds one way to mitigate against imperfect credit is to collect more security up front. “I often remind our clients that the goal is not to achieve the highest rent at lease signing. Rather, the goal is to achieve the highest rent AND have that tenant perform to the fullest on their obligation,” he adds. Please keep in mind that cities and states can differ when it comes to rules for prepaid rents and security deposit rates, so just to be on the safe side, check with your legal advisor before you implement a plan. But regardless of where you decide to draw the line with tenant credit, be sure to run a tenant credit report before you turn your property over to a stranger. What Does a FICO® Score Actually Mean?